Photos courtesy of Philomena Epps, aside from the Warrior Poets photo which was taken by Lauren Put. Girls Heart Brussels is an initiative led by Jessica Gysel (the founding editor of the wonderful Girls Like Us magazine) in collaboration with Visit Brussels. For each edition, Girls Heart Brussels tend to partner with an existing event. 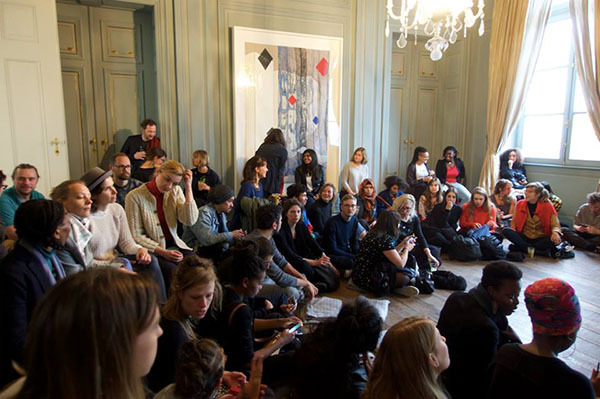 The fifth edition took place from 21-23 April, and was organised around the Art Brussels weekend, hand-picking a selection of events that focused on feminist, queer, or lesbian initiatives – specifically within the Brussels art scene. Embracing both the mainstream and the underground, the weekend merged art, fashion, food, and nightlife. After attending the opening of the Art Brussels on Thursday night, the next day began at WIELS. Founded in 2007, WIELS presents temporary exhibitions by emerging and established international artists. 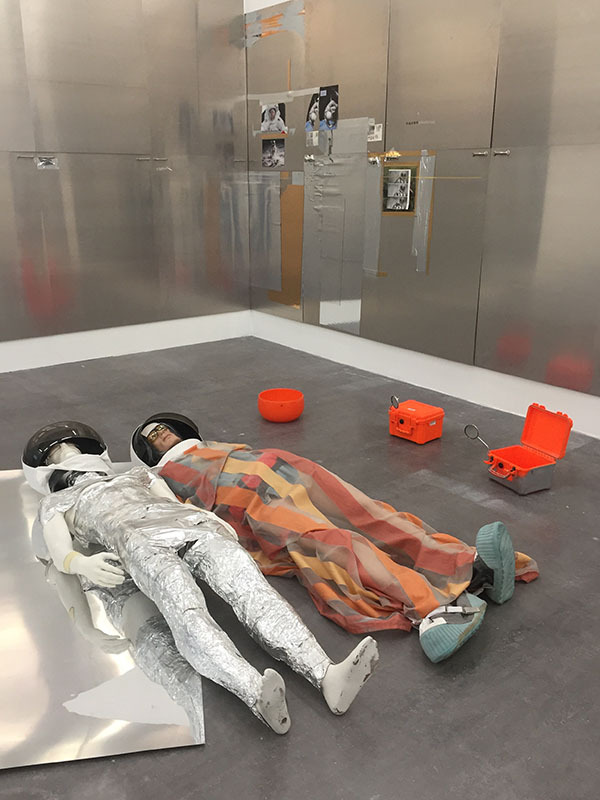 To mark their tenth anniversary, their current exhibition – The Absent Museum – was inspired by the fact that WIELS is often referred to as a museum, despite not having a permanent collection. The exhibition sets out a blueprint for what a possible museum of contemporary art, specifically in the capital of Europe, could collect. Female-identified artists in the exhibition included Iza Genzken, Lily Reynaud-Dewar, Rosemarie Trockel, Nils Yalter, Marlene Dumas, Hito Steyerl, Jo Baer, Ellen Gallagher, Ann Veronica Janssens, and Otobong Nkanga – who just won the prestigious 2017 Belgian Art Prize. From WIELS, we walked to the Argos Centre of Art and Media to see Orla Barry’s exhibition Breaking Rainbows. Currently based in Wexford, Ireland, Barry is both a visual artist and a sheep farmer. A 300kg pile of wool produced on Barry’s farm throughout 2015 sits in front of the video installation. The video is made up from a series of vignettes, the order of which is selected by the spectator, by choosing a poetic statement from the list. Elements of chance, storytelling, and authorship all merge to create an unpredictable and compelling work. We then returned to Art Brussels, to hear the artist Laure Prouvost in conversation with the writer and curator Jens Hoffmann. 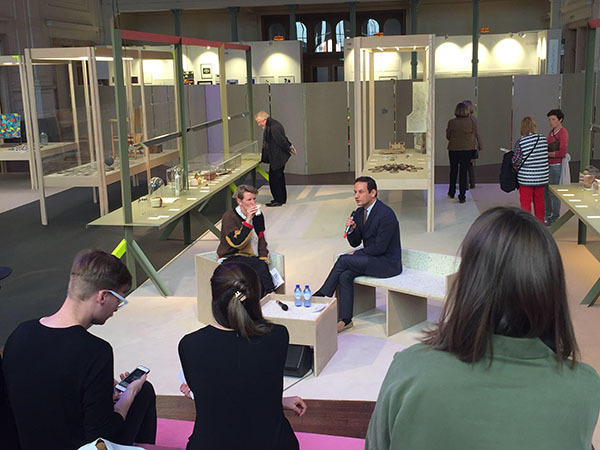 Hoffman had curated the museum-style exhibition Mementos: Artists’ Souvenirs, Artefacts, and other Curiosities as part of the fair, in which 70 artists had donated items to be displayed in vitrines. Prouvost had donated two teabags, which had dried into an unusual shape due to her practice of drying teabags on the radiator before using them for another cup. An eccentricity she developed by working in the studio of her ‘conceptual grandfather’ John Latham. “Making tea is very connected to daily life, very domestic,” explained Provost, “art and life don’t need to be separate. 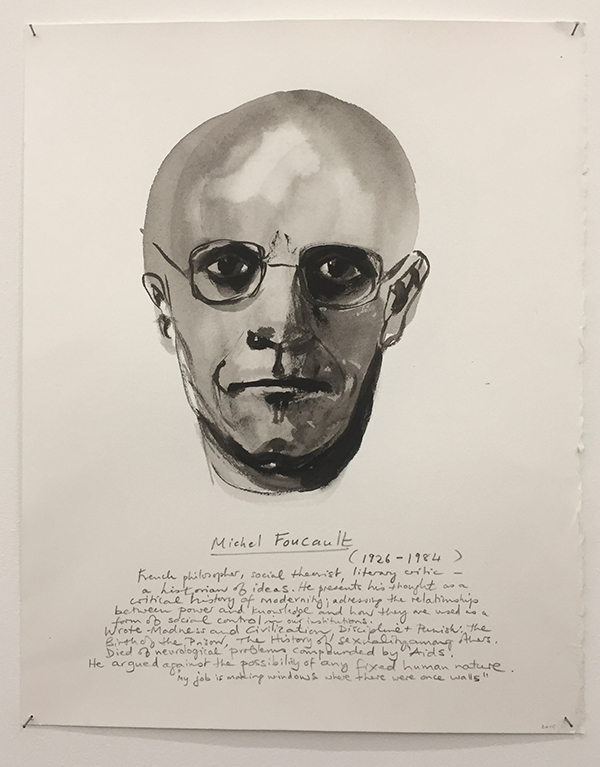 They can become one”.Hoffmann noted that it was the 100th anniversary of the ready-made, and they discussed the intersections between conceptual art, and what the limits of what is or isn’t considered art can be. Teabags, as objects with a cultural history, have an interesting trajectory due to their entanglement in colonialism. Similarly, their packaging can be framed within an economic throwaway culture. The audience agreed that objects allow us to form certain identities, they are also part of creating a feeling of ‘home’, and that we will not look at a teabag in quite the same way again. After the talk, we headed to the opening of Poppositions, hosted at the ING Art Center. Poppostions is an annual assembly of project spaces, artist initiatives, and galleries. Although conceived within the art fair format, they aim to “occupy an independent and critical position”. With the leitmotiv ‘Don’t Agonise, Organise’ for their sixth edition (drawn from Rosa Braidotti’s text, which was published after the election of Donald Trump), an evening had been programmed with the intention to use “words, reflections, poetry and cocktails to consider the construction and implications of the ‘we’, and reclaim the importance of multiple subjectivities”. Miss Elli introduced the line-up from Mama’s Open Mic, who had worked on the event in collaboration with Warrior Poets – a Brussels-based collective “fuelled by litanies for survival, and inspired by the groundbreaking lifework of Audre Lorde”. The evening culminated with a welcome party for the Girls Heart Brussels group at the contemporary art centre Les Brigittines. At the start of the night, Sara Sejin Chang (Sara van der Heide) premiered her film Brussels (2016). The film was made as part of her Spring 2016 artist residency at WIELS, which coincided with the terrorist attacks in Brussels in March, and Britain’s decision to leave the EU three months later. Sara was born in South Korea and grew up in the Netherlands. For her, questioning the notions belonging and identity began to arise in tandem with the growing rise of hatred and xenophobia throughout Europe and internationally. The film considers these larger post-colonial, nationalist and modernist concepts in a subtle way. The forefront of the narrative is a portrait of an individual’s life in a city – interacting with friends, a lost cat, dogs, a newborn baby, and a meeting a new lover. This oscillation between public global politics and the gentle intimacy of private life is key to the beauty of the film – creating a personal set of images within a more singular narrative about the year of 2016 at large. 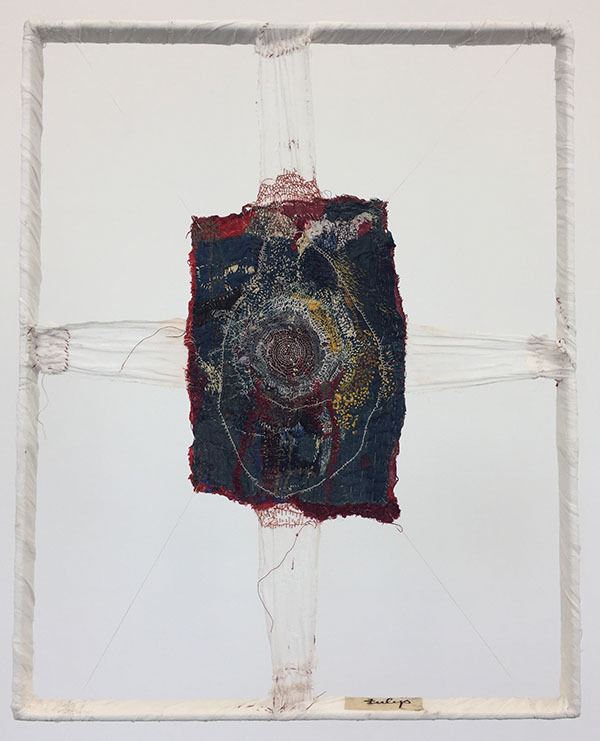 After spending Saturday morning at the Independent Fair – an alternative to Art Brussels – I made a detour from the group to see Junko Oki’s solo show and Belgium debut at the downtown gallery Office Baroque. Oki started her artistic practice in 2002, just before she turned 40 years old. Her practice consists of embroidery on old fabrics, which are often centuries old, and were collected by her late mother. Oki re-works and displays these textiles, which all have varying origins – some are clothes, others were tatami rimmings, or weavings used for candles. The textiles are re-shaped, often stitched together with new material, in geometric spiralling threads. Interested in the fragile and emotive relationship between history and memory, Oki writes that the “gravitational forces of love and death” propel her. After Office Baroque, we went to La Loge – a non-profit space dedicated to contemporary art, architecture and theory, housed in a Modernist former Masonic temple – to see Nathalie Du Pasquier’s current exhibition. Titled From Some Paintings, and curated by Luca La Pinto, this new body of work is reprised from elements of the artist’s former research for designs. 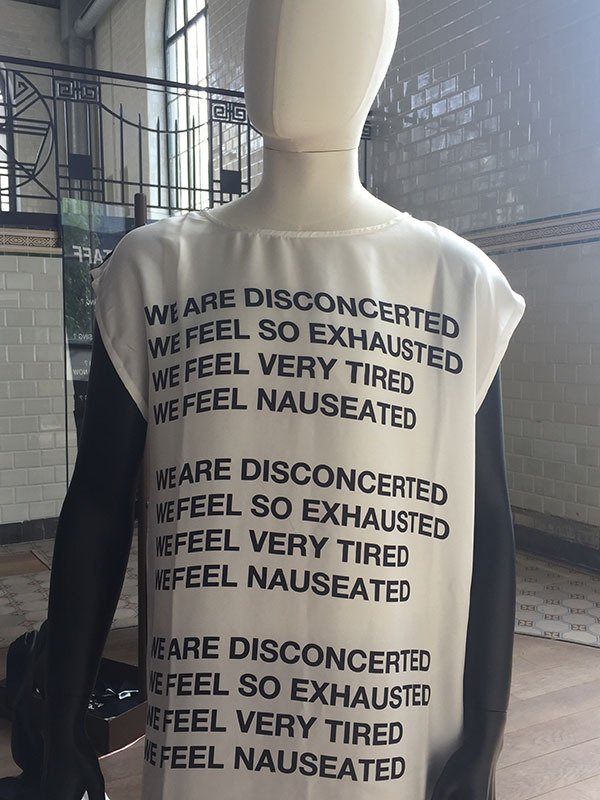 From La Loge, we went back to WIELS for the premiere of Lily Reynaud-Dewar’s new performance Small Tragic Opera of Images and Bodies in the Museum (2017). After a late night at one of the eponymous Catclub parties, and a Sunday morning jaunt browsing the wares of the Marolles Flea Market, we started the day at the Boghossian Foundation at Villa Empain. Their current exhibition, titled Mondialité, curated by Asad Raza and Hans Ulrich Obrist, focuses on Edouard Glissant and his call for a global dialogue that does not erase local cultures. Artists included Etel Adnan, Sophia Al Maria, Simone Fattal, Geneviève Gallego, and Dominique Gonzalez-Foerster. 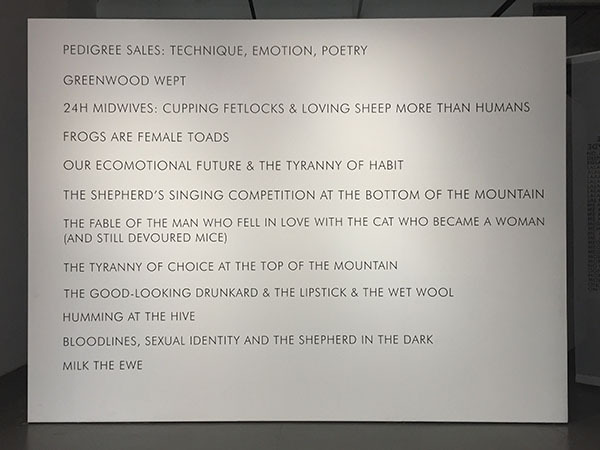 Experimental in subject and form, artworks ranged from paintings, installations, documentary film and songs, dramaturgical structures, and archival material. From Villa Empain, we made our way to our last visit of the weekend, and another unique building – Maison Grégoire, a modernist house designed by Van de Velde. Here, we met artist Aline Bouvy, who talked us through her duo show with Simon Davenport. Titled Pale, Havoc, the exhibition has been designed to suggest a contrast with the architecture, allowing for a crepuscular feeling of intrusion. 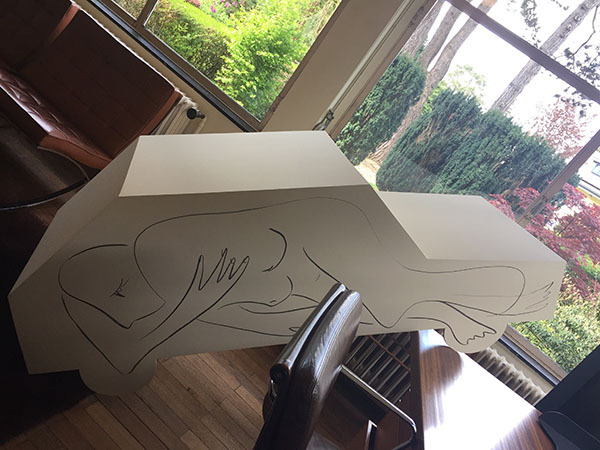 Bouvy’s sculptures particularly seem to invade the house, her MDF car-shaped structures, resting on the office desks, and meeting table. Similarly, the jesmonite reliefs emerged from the walls, jutting out uncomfortably in the space, and conveying some sort of apparition or spectre. Girls Heart Brussels provided a fantastic opportunity to be immersed in the creative atmosphere of Brussels, to meet other women working in the visual arts, and continue building an internationally expansive community. It feels more important than ever to keep building bridges across countries and across borders, and it was great to be able to share experiences and ideas with our sisters in Belgium and beyond.